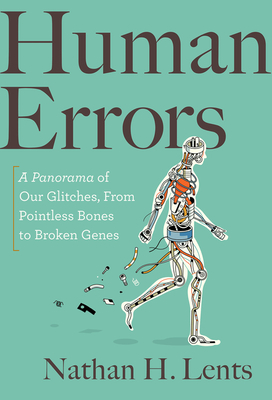 Come to Book Culture 112th for a discussion with Nathan H. Lents on his new book, Human Errors: A Panorama of Our Glitches, From Pointless Bones to Broken Genes on Thursday, May 3rd at 6:00pm! A rollicking, deeply informative tour of humans' four billion year long evolutionary saga, Human Errorsboth celebrates our imperfections and offers an unconventional accounting of the cost of our success. Nathan H. Lents is a professor of biology at John Jay College at CUNY and is the author of Not So Different: Finding Human Nature in Animals. He is an experienced and engaging public speaker who has appeared as a scientific expert in national media, including The Today Show, NPR, Access Hollywood, 48 Hours, and Al Jazeera America.